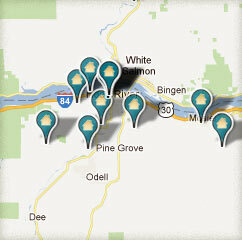 Columbia Gorge Bed and Breakfast Association welcomes you to the majestic Columbia River Gorge. When visiting The Gorge enters your vacation plans, let the Bed and Breakfast Inns of the scenic Columbia Gorge and Hood River area provide all your lodging needs. The 80 miles from Portland to The Dalles is filled with the spectacular scenery along both sides of the majestic Columbia River. 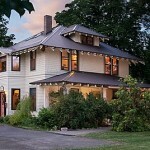 The Columbia Gorge Bed and Breakfast Association members are here to help you make the best choices for your visit to this unique area of the Northwest. The contrasting regions you will read about in our Columbia River Gorge Travel Planner and the mix of cosmopolitan and rustic that is the Northwest might require a little extra guidance and planning. When booking a room in one of our inns you not only get great accommodations but you also get your own personal travel consultant. We live here. We can assist you in making the most of your precious time. Call our Roomfinder number at 541-402-1422 and we will assist you in finding the Gorge Area B&B that best suits your needs.